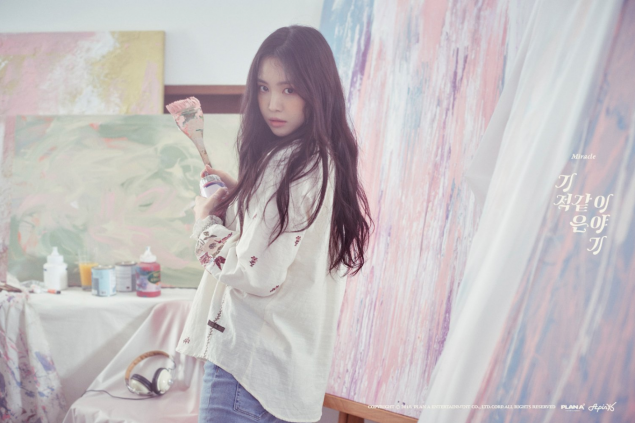 A Pink released more photos of Na-Eun for "Miracle". In celebration of the girl group's 7th-anniversary, they are treating fans with a special single. The song will be released and performed for the loving fans at A Pink's upcoming fan meeting 'Pink Cinema' on April 19. 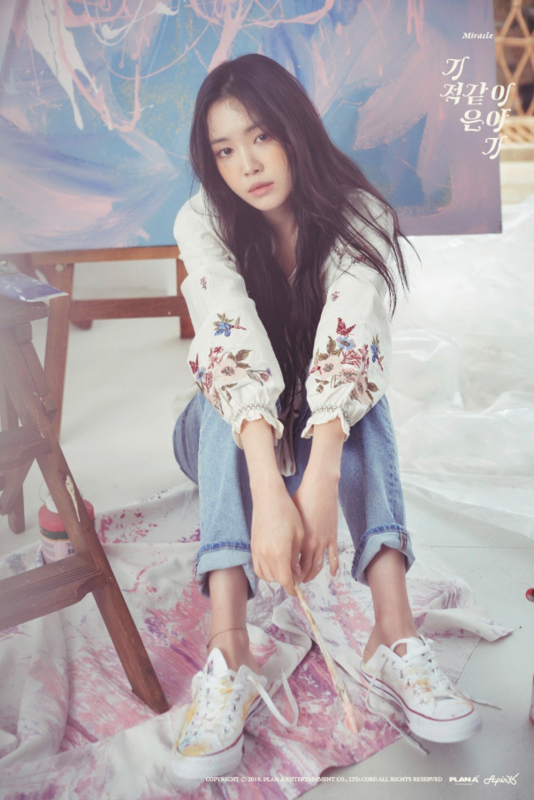 Meanwhile, the latest teasers for the fan song features Na-Eun getting artsy with painting. Check out her gorgeous cuts below!